Tips and guides to make your job search a breeze. Learn everything you need to know to search for a job on the County's new online Job Application System. Learn about the role of the interview and how to ready yourself for different types of interview questions. Learn about the role of a resume (it's different than you may think!) and how to make yours shine. 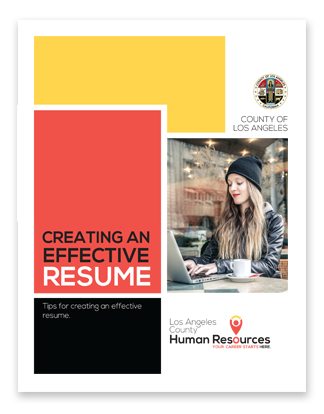 Los Angeles County offers a free, interactive online test prep experience where you can become familiar with the general types of questions found on many of the employment tests used by the County to assess applicants. You can also browse and download the printable guides shown below. Basic arithmetic questions test your knowledge of, and ability to interpret and solve problems of a mathematical nature, using such operations as addition, subtraction, division, and multiplication, and in a variety of problem formats and situations. For example, a test problem may require you to calculate the totals in a supply budget, much like you may be asked to do in the position for which you are testing. These guides also contain a glossary of mathematical terms. Data interpretation questions test your ability to understand and interpret data provided in tabular formats. Questions will vary from one test to another. The questions found in the guides below are examples of the types of data interpretation questions most common to County examinations. These study guides also include answers and explanations for the questions. There are two levels of Data Interpretation Guides - depending on the test level you are preparing for. Each of the versions available to download below provide you with different practice questions. Reading comprehension questions test your ability to read and interpret written material. Actual questions will vary from one test to another. For example, the test may require that you read an example of a letter similar to one you may encounter in the position for which you are testing and answer a series of questions based on the letter. The guides below provide examples of the types of passage interpretation reading comprehension questions most common to County employment tests. Answers and explanations for the questions are included in each guide. Each of the three versions available to download below provide you with different practice questions. Written expression questions test your knowledge of, and ability to recognize errors in, structural and grammatical elements of standard written English. Questions will vary from one test to another. For example, the test may require you to “edit” a document similar to one you may encounter in the position for which you are testing by asking you to respond to a series of questions based on the document. The guides below provide examples of the types of written expression questions most common to County employment tests. The guides also provide answers and explanations for the practice questions. Writing is an important part of most business activities. Sometimes you write to document something for yourself (e.g., when you take notes at a meeting or make daily “to-do” lists). In these cases, you generally do not intend for others to read what you have written, and you do not necessarily need to follow any particular rules or structure. Most times, however, you probably write to communicate something to another person who will read and need to understand what you have written. In these cases, you should write in such a way that the reader will be able to understand your message quickly and easily. Knowing and following the rules and guidelines of writing can help you accomplish this goal. Modern organizations rely on massive amounts of data that are used to make important decisions. Collecting data is only the beginning. Organizations must also be able to understand what the data mean in relation to the issue being investigated and how that knowledge can be used to make decisions with a reasonable amount of confidence. Statistical methods are critical to organizations that want to derive meaning from their data and obtain support for important decisions. This Introduction to Statistics guide has been developed to introduce you to the fundamentals of statistics. The primary emphasis of this guide is on descriptive statistics, with a brief discussion of inferential statistics. The goals of this guide are to present you with general information related to this subject and to spark interest in further exploration of the concepts presented here. DISCLAIMER: Because statistics are methods for organizing and analyzing data, readers should first review the County’s guide titled Introduction to Data Collection. Although this introduction to statistics presents useful and practical information from this subject area, there is no guarantee that someone who reads this guide will be able to perform better on the job or on a County examination. By merely using this guide, you consent to understanding and agreeing with this disclaimer. Today, organizations rely on massive amounts of data that may be used to help predict the future, report on the past, or indicate what is currently happening. This is fundamental to an organization’s ability to operate by reducing risk and promoting accuracy in the actions that are or will be taken. Data serves as the foundation to decision making at all levels of an organization. The Introduction to Data Collection guide has been developed to introduce you to the fundamental elements of data collection methods, principles, and techniques. The goals of this guide are to present readers with general information covering this subject area and spark interest for further exploration. DISCLAIMER: This guide has been developed to serve as an introduction to data collection methods, principles, and techniques. Though this guide presents useful and practical information on this subject area, there is no guarantee that someone who reads this guide will be able to perform better on the job or on a County examination. By merely using this guide, you consent to understanding and agreeing with this disclaimer. Mechanical aptitude describes the capacity to apply simple mechanical and physical principles. In other words, it describes a person's ability to figure out how objects work and move, alone and in relation to other objects. This guide has been developed to introduce you to the basic concepts of mechanical aptitude. This Introduction to Mechanical Aptitude guide can be helpful to anyone interested in learning about the basic concepts of mechanical aptitude; however, it is written specifically within the framework of helping the reader answer various types of mechanical aptitude test questions. DISCLAIMER: This guide provides an introduction to this subject matter only; further study of the subject and related concepts may be necessary to gain the knowledge, skills, and abilities needed to achieve your learning and/or career goals. Although this guide presents useful and practical information from this subject area, there is no guarantee that someone who reads it will be able to perform better on the job or on a County examination. By merely using this guide, you consent to understanding and agreeing with this disclaimer. Effective customer service is essential for success in today’s organizations. Organizations depend on employees who can effectively communicate with customers, meet their needs, and resolve their concerns. Most organizations place such a high value on customer service that they include provisions for it in their mission statements and establish guidelines and strategies for achieving it. They strive to provide what is known as “5-Star” customer service, which represents the highest level of service that can be provided and signals that customer service is a top priority among all business operations. This guide is designed to familiarize you with and assist you in preparing for testing containing multiple-choice entry-level clerical questions. While the sample questions are intended to give you an idea of the kinds of questions you might see, it is important to note that actual test questions will vary in format, content and level of difficulty. The guides also provide answers and explanations for the questions. The role and importance of office practices has changed dramatically over the years. Innovations in technology have changed the nature of office work from processing paperwork to planning and organizing multi-step assignments. Understanding contemporary office practices is essential to succeed in today’s workplace. DISCLAIMER: This guide provides an introduction on this subject matter; further study of this subject and related concepts may be necessary to gain the understanding needed to achieve your learning and/or career goals. Although this guide presents useful and practical information from this subject area, there is no guarantee that someone who reads it will be able to perform better on the job or on a County examination. By merely using this guide, you consent to understanding and agreeing with this disclaimer. 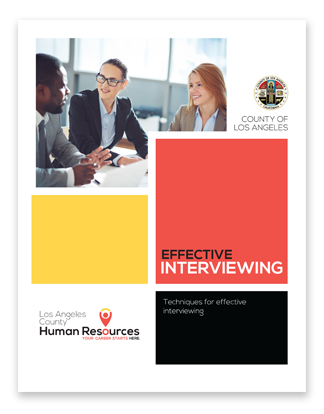 This guide can be useful to anyone who will take a County of Los Angeles written employment test. It might be especially useful for people who have never taken one or for people who have not taken one recently. 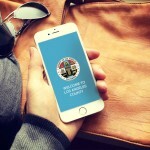 DISCLAIMER: This Guide provides general information about County of Los Angeles written tests. Each County department has its own specific procedures for administering written tests. These procedures may be different from what we describe in this Guide. Also, reading and following the guidelines in this Guide will not guarantee that you will perform well on your written test. You may need to prepare in a different way than the way we describe in this Guide. By merely using this Guide, you acknowledge that you understand and agree with this disclaimer. See which resume style might work best for you, plus suggestions for what to include and what NOT to include on your resume. Discover strategies that can help you communicate more effectively and prepare you for a positive interview experience.